Children love to play outdoors so it seems only sensible to bring their learning into an outdoor environment. Each week, the children from Reception, Year 1 and Year 2 take it in turns to spend a morning in our wonderful woodland in the school grounds. The learning that the children do in these sessions covers aspects of mathematics, design, language and literacy, health and safety, and science. We also aim to teach the children to work as a team, developing co-operative skills through finding and identifying risks together or building a den in a group. The children solve problems and learn to enjoy the outdoors as a learning environment. Each class links their outdoor learning to their class topic: Reception children have been on a Gruffalo hunt and made mud pies for the Gruffalo; Year 1 children made homes for a hedgehog as part of their topic on House and Homes; and Year 2 made flags to identify the boundaries of the learning area to link in with their work on Castles. The children love their visits to the woods. Bundled up in their dungarees, boots and coats they spend a happy morning exploring and designing with a well deserved cup of hot chocolate in the middle, underneath the huge parachute that has been set up as their shelter. 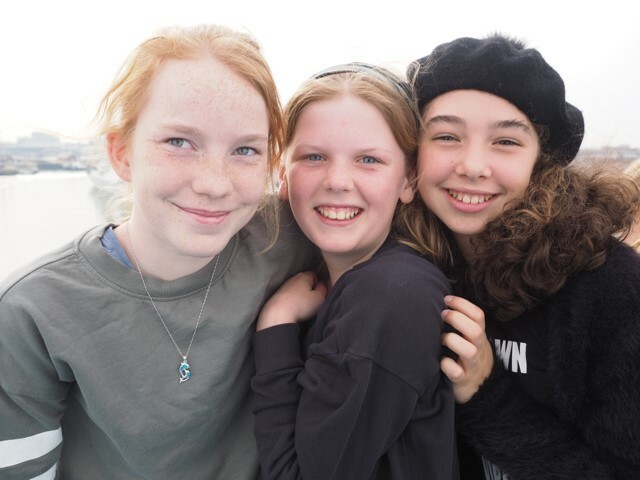 You only have to look at their rosy cheeks and sparkling eyes when they return to the Pre-Prep to know how much they have enjoyed their time outdoors.